Orange Leaf, otherwise known as Orange Leaf Frozen Yogurt, is a frozen yogurt franchise based in Oklahoma. The self-serve stores offer gluten-free, vegan, non-dairy, and sugar-free products. The company was founded in California in 2000. At the time, it was still known as Orange Tree Frozen Yogurt. However, it was only in 2009 that Mike Liddell and Reese Travis acquired the company and moved it to Oklahoma. The change in the company’s name also heralded a change in business plans and marketing strategies. From 2011 to 2013, Orange Leaf expanded to over 100 locations in the US. Such expansion also meant an increase in manpower. The company offers comprehensive benefits, such as a 401(k) retirement plan, gym membership, a casual dress code and working atmosphere, life insurance, and free yogurt. The jobs are fairly easy and a great way to train high school and college students for more challenging tasks in the future. Employees have flexible working hours and learn a lot about excellent customer service. How old do you have to be to work at Orange Leaf? Applicants should be at least 18 years old. Their shifts could be between 11 AM and 10 PM, on Mondays to Thursdays; 11 AM to 12 midnight on Fridays to Saturdays; and 11 AM to 11PM on Sundays. The company is a wonderful place to hone one’s skills in customer service and management. Listed below are the available job positions at any of Orange Leaf’s franchises, including their job descriptions and qualifications. Stores at Palomar, Tiverton, and Brighton are looking for Shift Leaders who can supervise the staff and help train new hires. They shall open and close stores, make deposits, assist team members during money transactions, and communicate to managers any concern regarding the store. The Team Member shall prepare frozen yogurt, communicate with customers, accept cash and give the exact change, and keep the work area and store clean and safe. The Team Member shall promote and suggest products to guests, and adhere to company policies and standards. The Assistant Manager shall help the Store Manager perform various administrative tasks such as screening and hiring applicants, driving sales, supervising the staff, and keeping the store in order. He shall also handle customer complaints, if any, and strive to provide the best customer service. The company is looking for a hardworking, energetic, outgoing, and team-oriented Store Manager who can efficiently perform the following duties: managing the store inventory, hiring applicants, processing store orders, and motivating team members. The ideal manager should also be reliable, flexible, analytical, and results-driven. 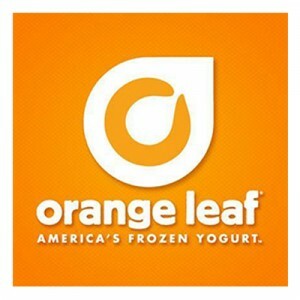 Orange Leaf keeps its official website and social media accounts updated with the latest products and promos. Thus, a social media content manager shall curate and post relevant content on a regular basis, and respond to inquiries from netizens. He shall also coordinate with the graphic and layout artist as regards the overall look of a page. The Accountant shall be stationed at the corporate headquarters. His key responsibilities include processing the payroll; filing, paying, or updating income tax returns; analyzing account information; and recommending financial actions. He also does a quarterly auditing of costs and revenues. To ensure that all photos posted on the company’s websites and advertisements look professional and attractive, a graphic artist must take snapshots of yogurt products and create posters. Sometimes the graphic artist also does the layout of the website, and works with the content manager in posting updates. The District Manager shall be assigned to various stores in a given district, and supervise each store location. He works together with the General Manager in targeting profit goals and assessing the staff’s overall performance. He must exhibit strong leadership and communication skills. The CSR shall answer questions related but not limited to new products and promos, job applications, franchises, and store locations. He must provide quality customer service and attend to guests promptly. He also listens to customer complaints and efficiently handles them. The app developer maintains the Orange Leaf app and ensures it is compatible with most devices. It also updates the app and tests its programs. He must also work with content developers, graphic artists, and software experts in creating and/or updating the app. Application forms are available at the stores or corporate offices of Orange Leaf. Choose the location where you want to work, and ask the management for a copy of the form. You will likewise be required to fill out other pertinent documents and answer initial questions from the recruitment personnel. The application process is usually informal. Submit your resume, cover letter, and application letter to the recruitment personnel and/or manager. Depending on the branch, you may be immediately called for a job interview. Neat and professional looking resumes and cover letters get noticed by the hiring team. Make sure you highlight your best skills and relevant previous work experience. If you submitted your application via email, wait for three days for a reply from the hiring team. They will schedule you for an interview, in which you’ll have to answer questions regarding sales, customer service, and food preparation. The company has a fast-paced and busy environment. Despite the challenging tasks at stores, all employees maintain a friendly and professional relationship with one another. Every now and then Orange Leaf releases new products and promos. Recently it has also named Kendall Ware as its new president and COO and has announced discounts for St. Patrick’s Day. The company also releases almost new flavors every month, in its goal to provide delicious yet healthy yogurt. Customers can choose their own toppings and enjoy their gluten-free snack. Orange Leaf is a member of charitable and fundraising organizations such as VetFran, IFA, and No Kid Hungry. It also seeks to empower customer relations by providing delicious desserts at an affordable price. 1 How old do you have to be to work at Orange Leaf?